If the U.S. is willing to conclude a deal with Iran, lift sanctions and allow Iran to export oil, shouldn’t the U.S. itself allow oil exports? That is the conclusion from a new report issued by the Majority (i.e. Republican) Staff of the Senate Energy and Natural Resources Committee in the U.S. Congress. Citing EIA data, the report says that Iran will be able to ramp up oil production by 700,000 barrels per day by the end of the year, of which 600,000 barrels per day would be from production that was shut in because of sanctions. That could potentially push down oil prices by $5 to $15 per barrel. Related: Could $12 Trillion Trigger A Renewables Revolution? The Senate report even cites Obama administration officials, which trumpeted the fact that U.S. oil production made the Iran sanctions possible. By adding several million barrels per day to oil markets and pushing down prices, U.S. shale provided the room for cutting off Iranian oil without choking the global economy. But the effort against Iran stands in stark contrast to America’s policy on its own oil, the committee says. 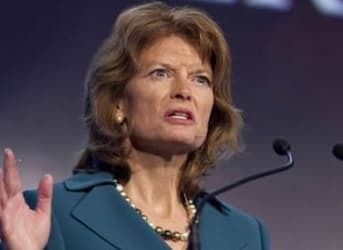 The report will be used as ammo in the ongoing campaign to lift the ban on exports by Senator Lisa Murkowski, the head of the Senate Energy Committee. Sen. Murkowski released a report in early June that suggested other countries might apply for the same exemption, and the report looked at “case studies” for six potential U.S. allies to do so, including Poland, Japan, Belgium, the Netherlands, India, and South Korea. While not officially stated, the report was intended to shoot holes in America’s export prohibition. Sen. Murkowski appears intent on keeping up the pressure to end the ban. How can the US export oil when it has not enough? The US imports 5.3 Million barrel/day. I think it is the US oil lobby demanding this to get the world market price. Hence more oil has to be imported and the gasoline price will rise. I don't understand how they are trying to link a sanction we placed on Iran to deter them from making nukes, to the USA lifting its ban. Last time I check US producers aren't making nukes and the ban we placed is to protect our oil. Two completely different reasons. Lifting the ban will almost certainly raise gas prices, contrary to what Harold Hamm says. If we lift the ban WTI will increase it's spread to the Brent will reduce. Best case scenario they meet halfway of their spread. Lets discuss this: The national average is $2.779 (6.24.2015) when the barrel is roughly $60 WTI. Exactly one year ago it was $3.681 and WTI roughly $100. Although WTI dropped approx 58% fuel at the pumped is down only 25%. Yet they still want to lift the ban at the expense of the consumer and increase energy costs which will hurt our economy to benefit the cash flow of public companies. Get out of here with that BS. If you don't understand the oil and refining business you shouldn't be commenting. There are more types of oil than there are smart phone variants and North America, both Canada and the US have more than enough oil to supply both countries. However, give or take a few hundred billion has been spent on refineries that handle sour, heavy or dirty crude from arabia and Venezuela. We can take and mix heavier crudes from Canada and export the super light oil and condensates and natural gas liquids to overseas markets where the will get top dollar. In this manner, North America can have its cake and eat it as well. Reality..north America was on a trajectory to drill 20,000 more wells in 2015 than will now be drilled. That is a hundred thousand miles of steel pipe and cement and all the labor and support direct and indirect to support this as well as the trains and pipeline construction. Hundreds of thousands of jobs will total compensation costs averaging 100k are being lost. In total hundreds of billions annually in US GDP or about 1 percent. If you don't think that is material, 1 percent less in growth this Quarter will likely be the difference between the us technically declaring a Recession for the first time since 2009 after spending 5 plus trillion to prop up financial balance sheets in New York. This debate is stupid, if I said your kid would be an NFL quarterback, guaranteed, you wouldn't say well he might die young of cumulative brain damage. You would look at the risk reward. The three billion people in India and china are not going to stop using fossil fuels for decades so the 300 million Americans should take the contract from the Patriots and become the worlds leader in fossil fuels energy. With the extra hundreds of billions we can begin thinking of what comes next in energy and water.